My "mojo's" back! Sort of, if at the end of last year I was feeling uninspired and in no mood for blogging this month is quite the opposite. As a result, I've joined yet again to The Nail Challenge Collaborative, after a few months of absence. The theme for January is inspired by a tutorial, it's a really cool subject and the amount of tutorials out there is incredible. There are a few blogs I like to follow and Paulina's Passions is one of them. 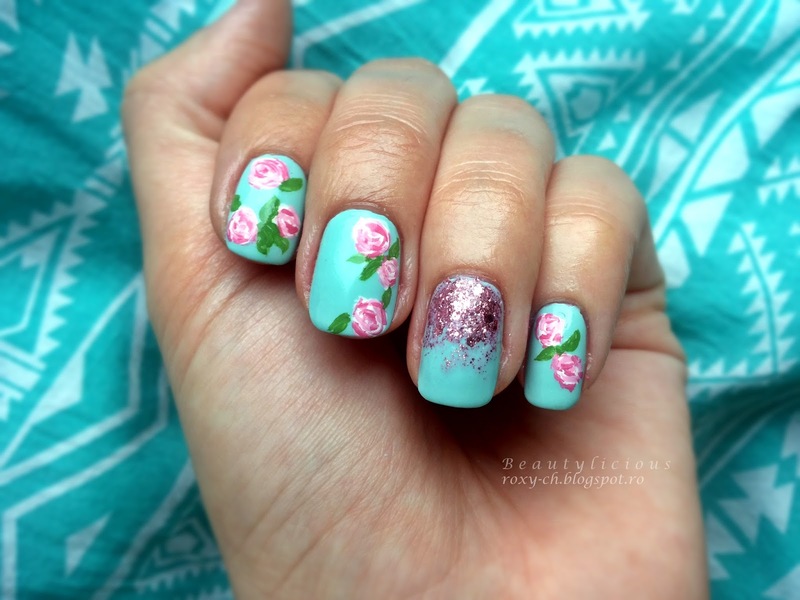 She has this beautiful manicure and a tutorial for it called Roses Nail Art Tutorial. You should check it out, it was my inspiration for this manicure, altough hers are sublime, mine need a little more practice. She used a gorgeous shade of mint, but as it turned out I do not own something similar, my mint shades are all more on the blue side. So I used Moyra #602 in two coats. It's a nice creamy polish, very pigmented but a little thick and almost difficult to apply. The glitter that I used is Golden Rose, Jolly Jewels collection #104 (I'm planning to review it soon enough) which I thought it will look a bit prettier with this mint, but we can't always have it all, right? 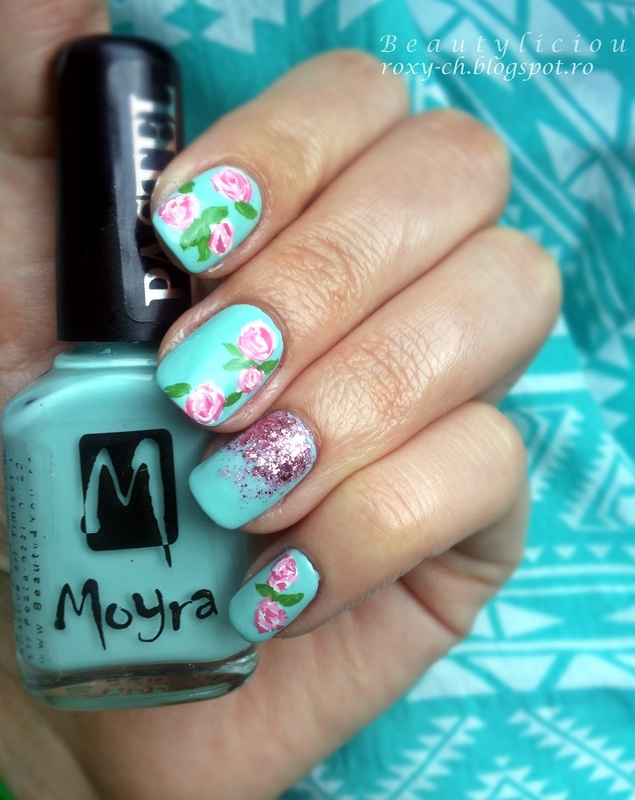 Next, I used acrylic paints for the roses and the top coat which I currently love is from Moyra as well. This manicure has a spring vibe to it and it makes me feel cheerful and optimistic. Would you do your nails like this? when it's not really the right weather for it. Love to hear your thoughts about it! Arata super dragut trandafirii si destul de realist!! It's super sweet and very feminine! E absolut superb si modelul, si executia, si culorile, totul. Multumesc frumos! Ma bucur foarte mult ca ti-a placut :D si manichiuristele trebuie sa aiba diplome, ceea ce momentan eu nu am :)) asa ca deageaba mi-as pune :-"
Vai ce mult imi place! Sunt frumoase <3 Vreau si eu sa incerc sa fac trandafirasi. Pot sa te intreb ce camera folosesti pentru poze? 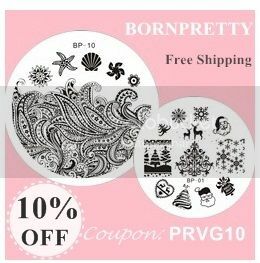 These look gorgeous! The roses look so perfect, I love them paired with the glitter gradient!